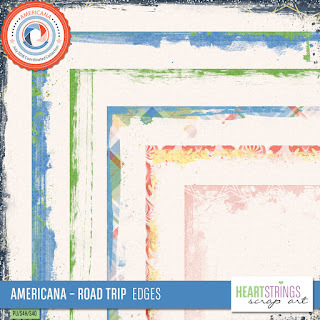 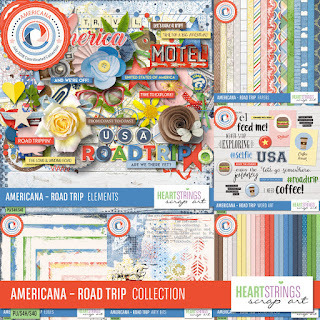 Americana – Road Trip is now available at Digital Scrapbooking Studio. 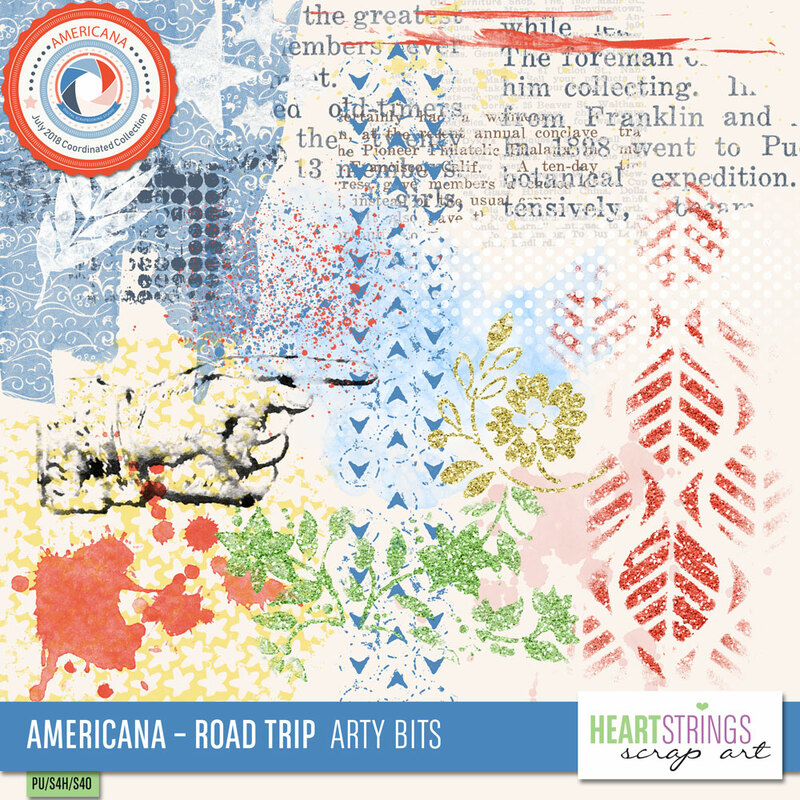 This collection of Designs is our Designers view of Americana. 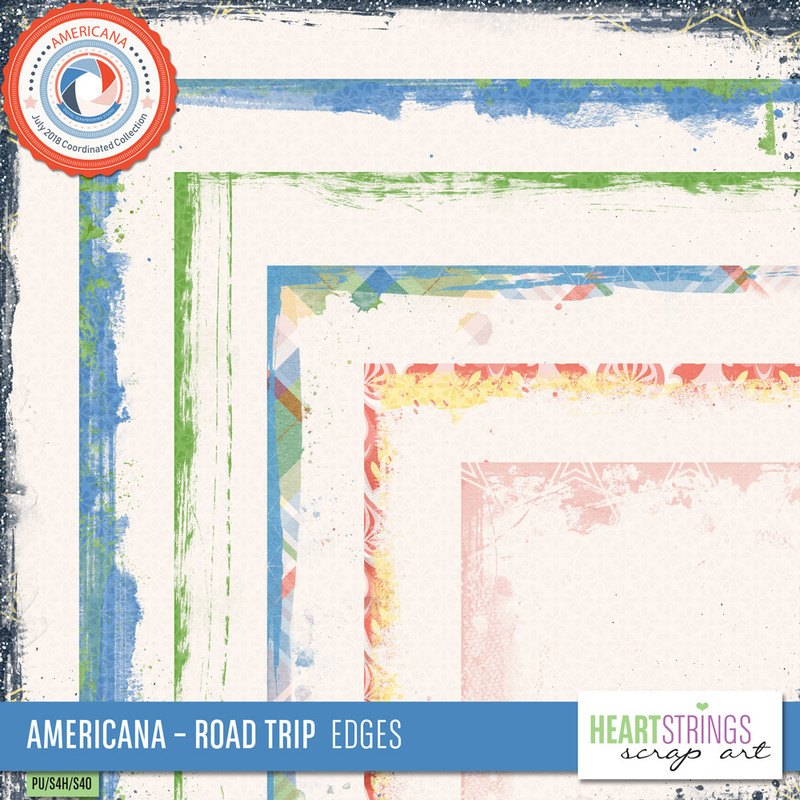 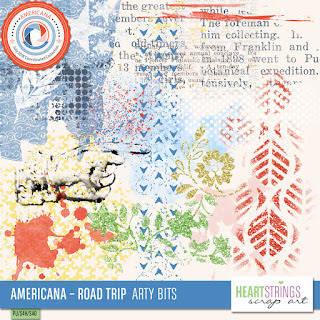 Heartstrings Scrap Art showcases America, Road Trips, and the wonderful adventures of travel in this latest collection which is designed using the colors of DSS’s coordinating collection called America.. 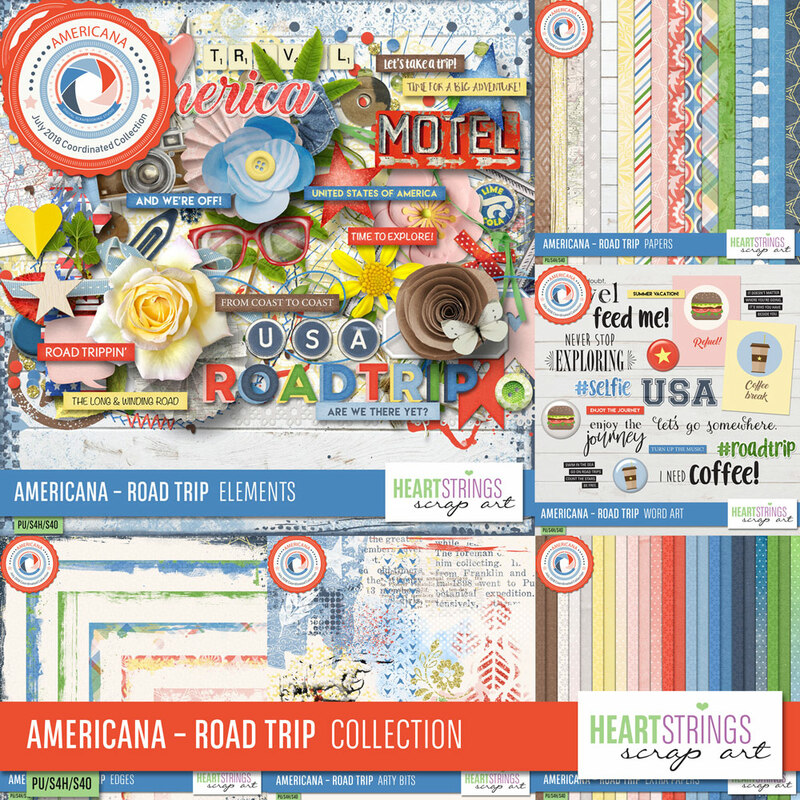 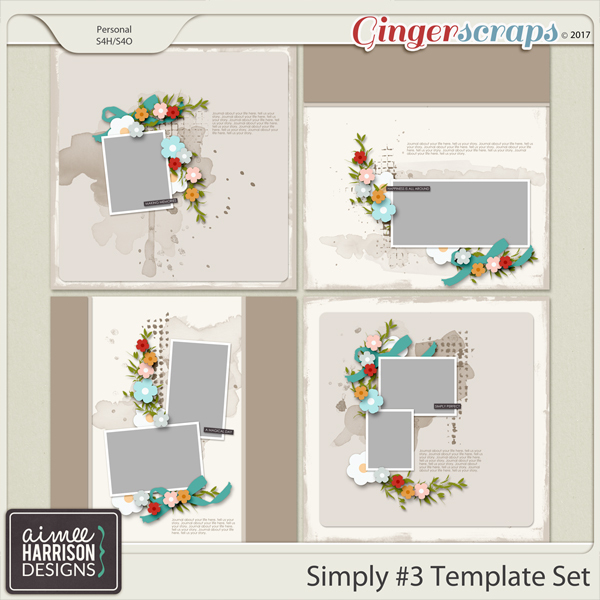 I used a pretty masked template from Aimee Harrison to show off this sweet collection. 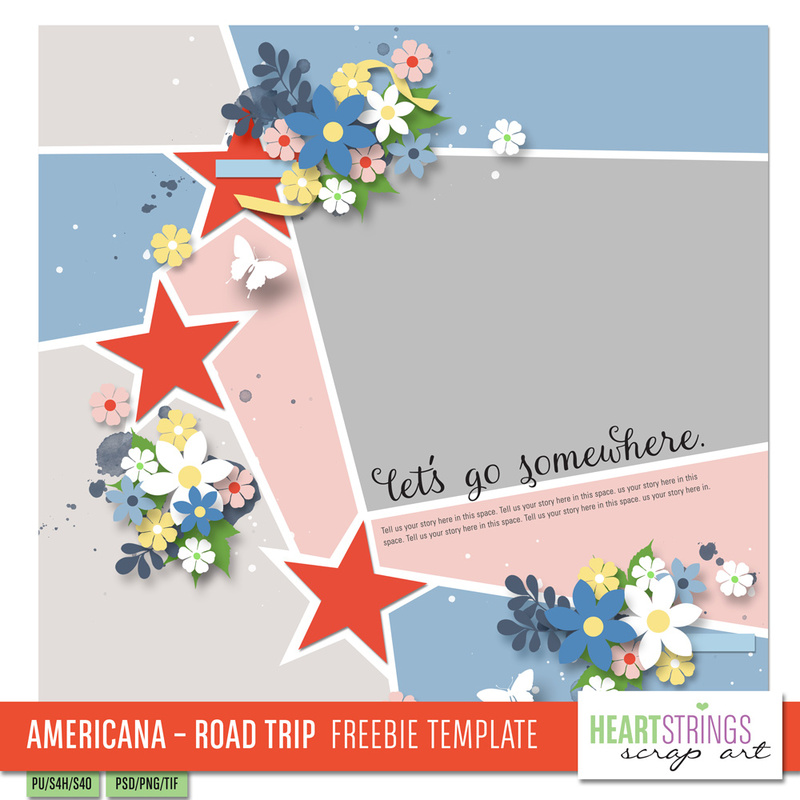 This new template will be going out to Heartstrings Scrap Art newsletter subscribers on Friday!